The book is quick and convicting, and it is a much-needed call for radical Christian leadership, but I feel there is much room for expansion on these topics. Since it is so short, Miller can only treat these deep spiritual topics on the surface-level. The result is that some of the applications are shallow and obvious. 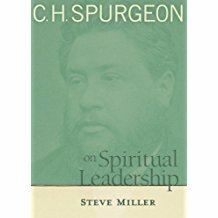 There is a great wealth of wisdom and examples from Spurgeon’s life that Miller can tap into to expand his content. The book is fantastic, but it left me wanting more. I would recommend this book to anyone who has a desire to serve in ministry in any capacity. It is not just for the senior leaders of the church, these principles are important for any walking Christian. The book is a refreshing reminder of our call to faithfulness, zeal, and suffering. It is an easy read – you could potentially finish this in an afternoon. Sounds cool, haven’t read it. Would you recommend someone reading this or Sanders’ “Spiritual Leadership” first?